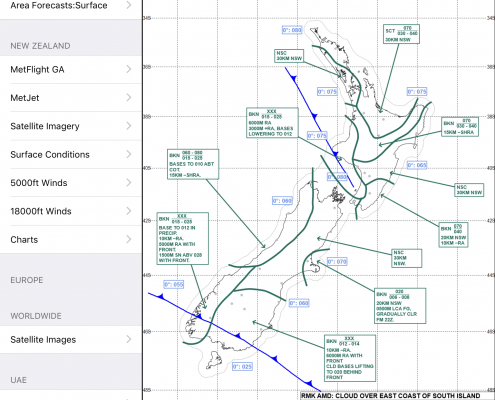 New Zealand GRAFOR, SIGWX and SIGMET charts are now available on the Weather pane within AvPlan EFB. These charts will update within 20 minutes of being issued and made available. Three GRAFORs are available each cycle, and they are updated every 6 hours. 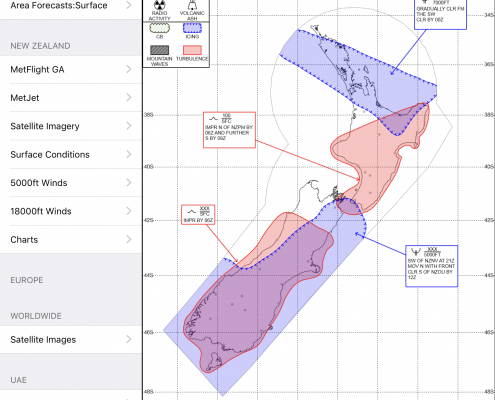 Learn all about the new NZ GRAFOR on the MetService NZ website. Once accessed, they will automatically be available for offline use.